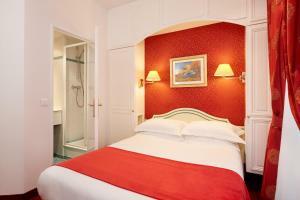 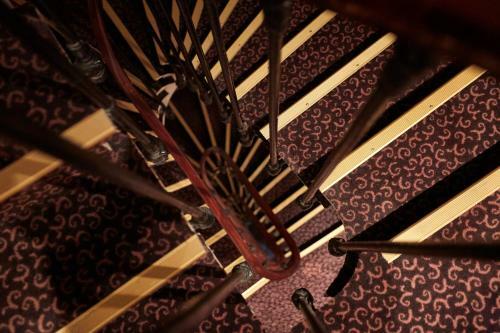 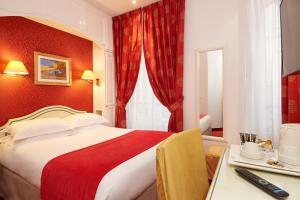 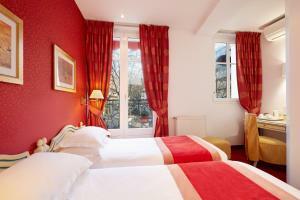 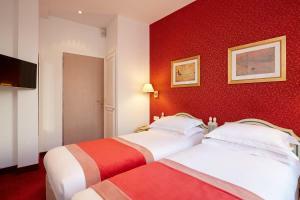 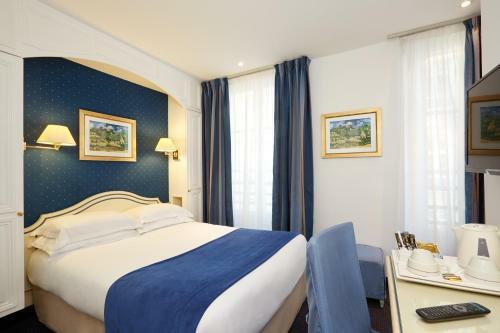 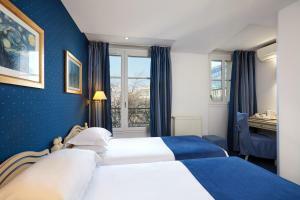 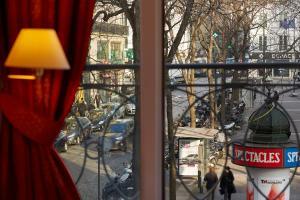 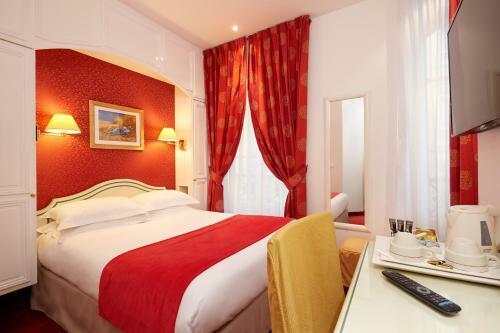 This Austin's hotel is located in central Paris, next to Saint-Lazare Train Station and 800 metres from Opéra Garnier. 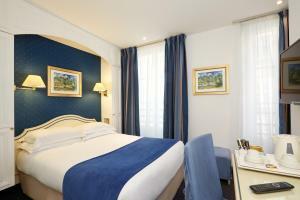 It offers soundproofed guest rooms with air-conditioning, flat-screen satellite TV and free WiFi. 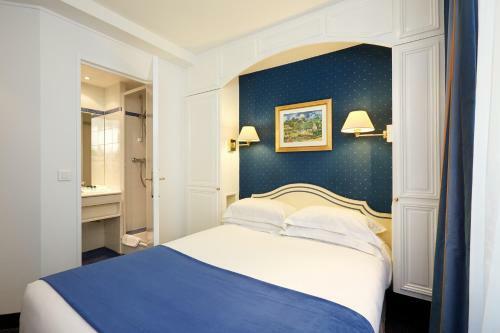 All rooms at the Austin's Saint Lazare have lift access and a courtesy tray with tea and coffee. 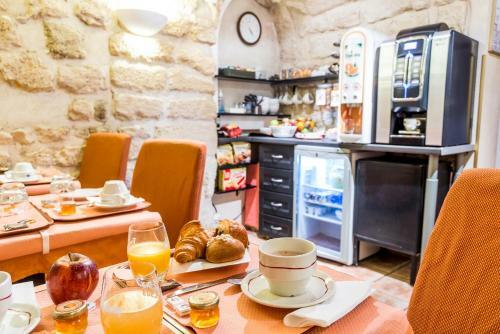 Guests can also enjoy a continental buffet breakfast in the dining room, or in your room. 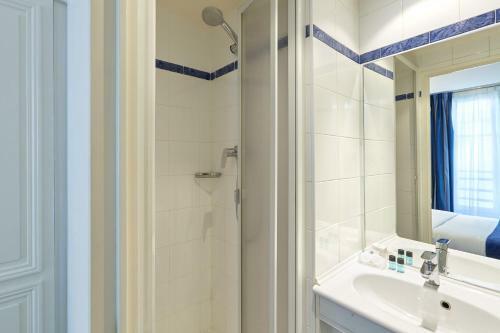 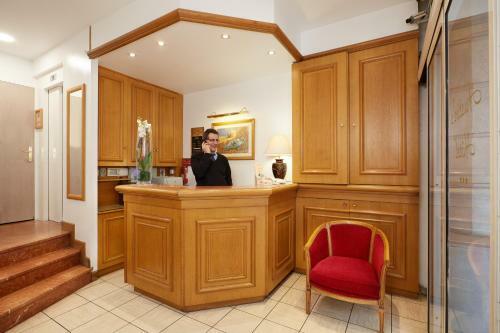 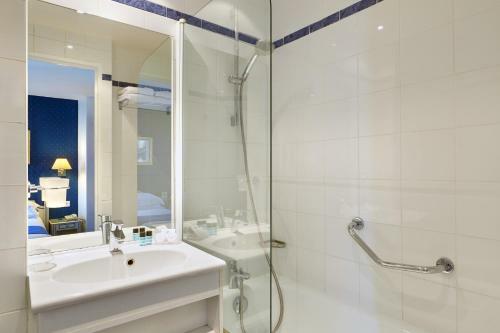 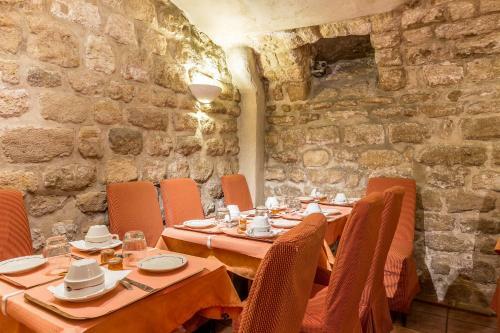 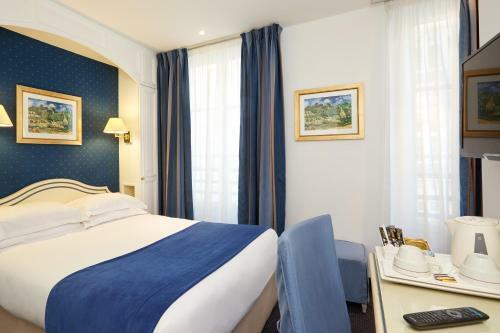 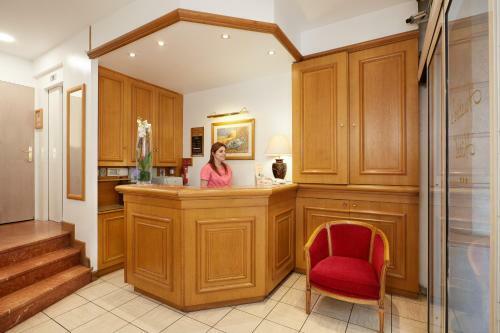 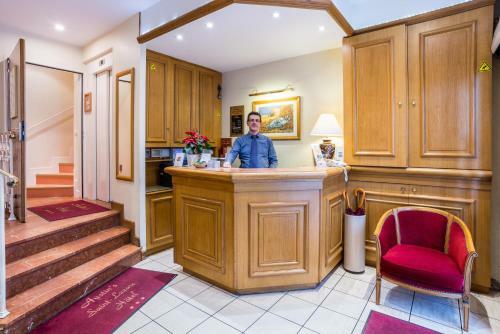 The Austin's Saint Lazare Hotel is a short metro ride from Gare du Nord and Gare Saint-Lazare has four metro lines which offer connections throughout Paris. 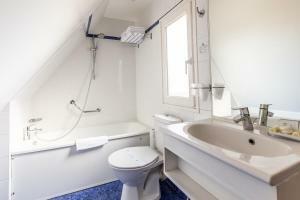 The rooms have free Wi-Fi, a safe and an LCD TV with satellite channels. 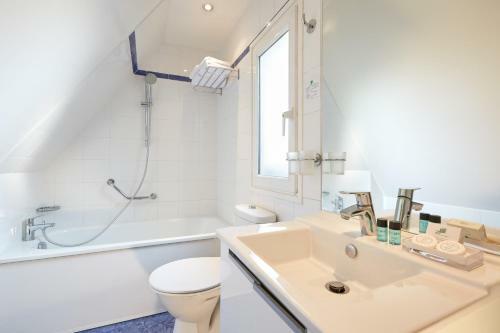 They also include air conditioning. 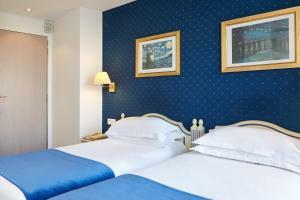 Rate: € 83.00 ... € 951.00; select dates below to get current rates. 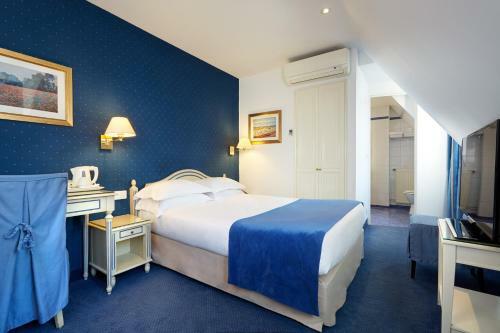 This room is made up two adjacent rooms, each room features a flat-screen TV with satellite channels, a welcome tray and a bathroom. 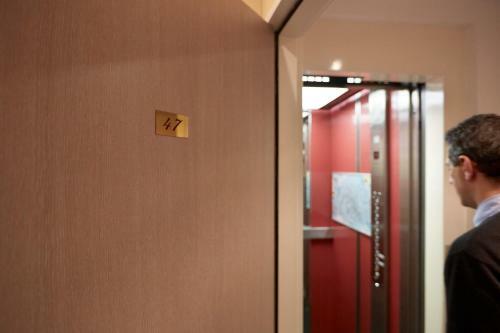 Please note that these rooms are not communicating.